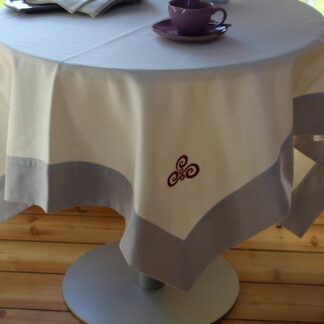 The Carrig Collection is all about elegance and style! 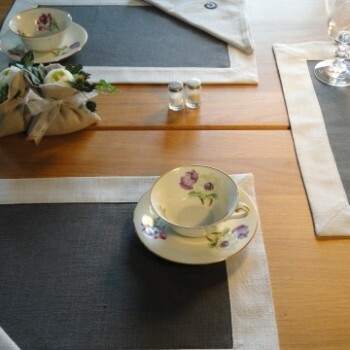 The soft texture of the fabric adds to the luxury of the table setting and the two tones of grey work superbly well together. 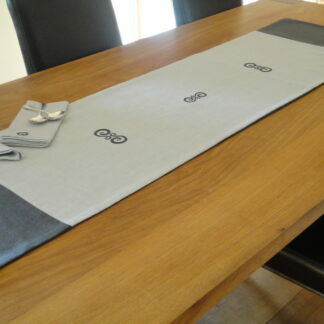 In the Carrig Collection, I have used colours in Dark Anthracite Grey teamed with a Light Silver/Blue Grey, to create a two tone place mat which will add a luxurious feel to your table setting. 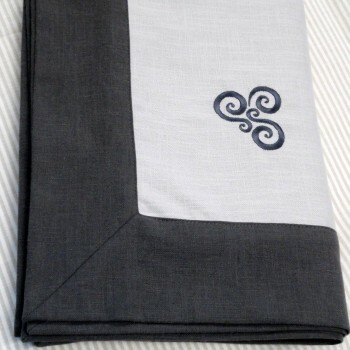 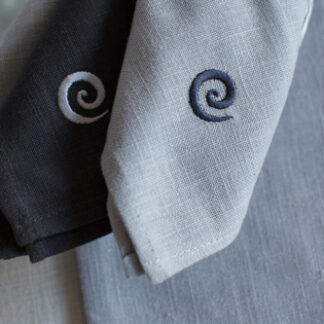 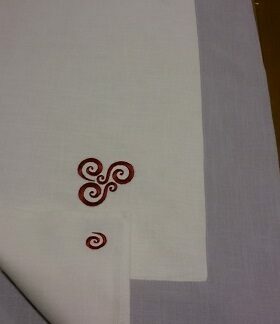 They can be matched perfectly with a number of serviettes in different colour combinations, embroidered with Pre- Celtic designs in contrasting colours and tones which are chic and easy to combine on a large or small table.